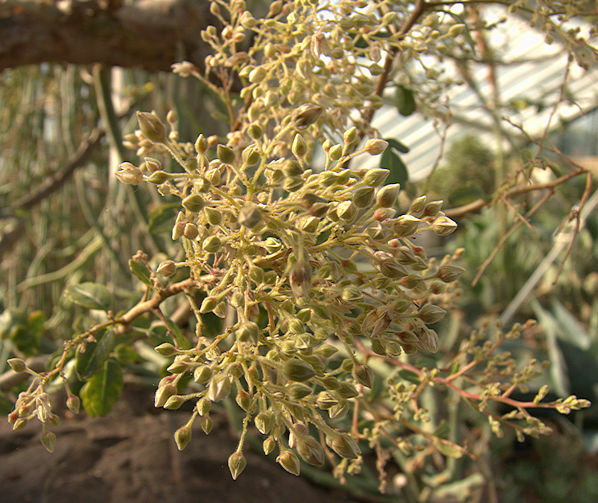 The Family Anacardiaceae includes 75 genera and 800 species of tropical to sub-tropical trees, shrubs and vines, bearing drupes (fruit with internal pits or stones) and including the important agricultural crop species, cashew, mango, pepper tree and pistachio. Most species produce resins or toxic latex, notably species of Rhus (sumac) which produce allergenic poisons. 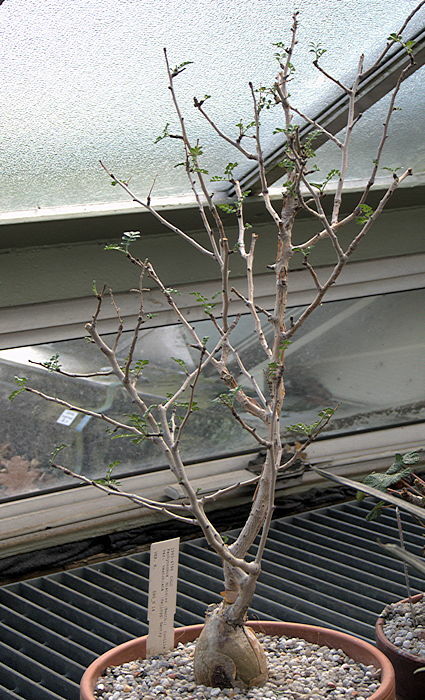 Most Anacardiaceae are non-succulent, but pachycaul shrubs found in Operculicarya and Pachycormus can be cultivated in a warm greenhouse and attractively "self-bonsai" in a small pot. This monotypic genus includes the variable species Pachyformis discolor. has a thickened, branching trunk with an attractively peeling bark. 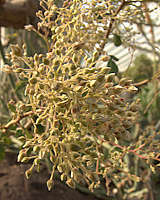 The soft wood produces a milky, resinous exudate which distinguishes the bush from the closely related Bursera microphylla. Leaves are pinnate. The inflorescence is a dense panicle of tiny, 5-petalled pink flowers. 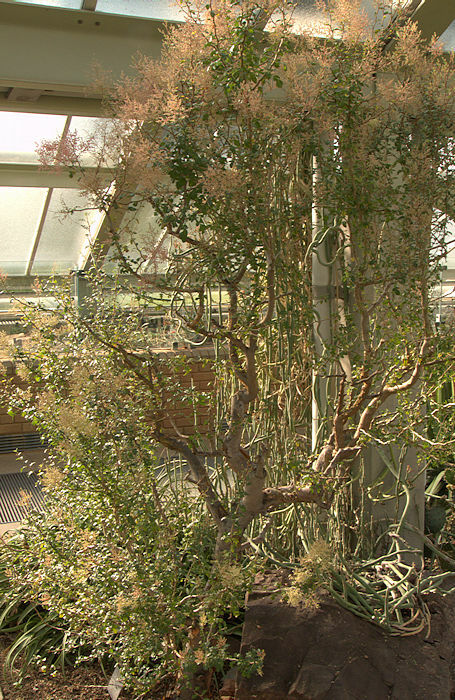 Grown as a "self-bonsai" pot plant.